One of the things that strikes the most to visitors from all over the world, when they are in Ecuador is to see the varied geography in the country. Ecuador has a big advantage, that is that due to its size you can easily visit the four different and very diverse regions or worlds. Ecuador has a coastal region, the amazon jungle, the Andes cordillera and the well-known Galapagos Islands. There are contrasts on the scenery along the highlands region, nestled in the Andes cordillera, and the avenue of the volcanoes is a highlight for anyone that visits this charming country. One of the favourite among locals and tourists is Cotopaxi Volcano. You can do it low-budget and take a public bus to get you there or you can book a day tour from one of the many tour operators you find in Ecuador. From Quito to Parque Nacional Cotopaxi you need approximately one hour by bus. You can start the trip from the bus terminal Quitumbe in the Southern part of the city. From there take the bus direction Latacunga and tell the bus driver that you are going to Parque Nacional Cotopaxi. Booking a tour to Cotopaxi National Park will avoid the hassles of planning and getting there. Book ahead your tour and choose from biking, hiking, trekking and more, here. The admission fee to the Cotopaxi National Park is USD $10 for foreigners. This impressive snow-capped conical-shaped volcano towering over the Andean landscape is located just some kilometers outside the capital city of Ecuador, Quito. At a peak elevation of 5,897 meters it is one of the highest snow-capped volcano on earth. Despite being located just 100 km south of the equator line, the top of the Cotopaxi volcano is covered with snow year round and is part of the avenue of the volcanoes. When the weather is good, the landscape you get to admire is amazing! The National Park boasts a wide diversity of flora and fauna, all surrounded by paramo climate. This is a trip you can easily do in a day, it is possible to stop by lake Limpiopungo or reach to the parking lot at 4500 m. by car, and then if you want to from there you can try to get to the top glaciers. It all depends in how fit you are. Of course I will highly recommend taking a day or two in Quito if that is your departing point, in order to get your body used to the altitude. Otherwise you won’t be able to make it to the top and won’t enjoy this trip. When the weather is good, the landscape you get to admire is amazing! The National Park boasts a wide diversity of flora and fauna, all surrounded by paramo climate. There are some very nice haciendas and lodges around the park where you can enjoy some nice food, or reserve your accommodation, you can also find some people a companies organizing all sorts of extreme sports and incentives activities in the park, throughout the year. What can add more to the experience of being in the heart of the Andes and in the avenue of the volcanos, than spending the night in an old traditional hacienda from the 17th century? I have always loved visiting Hacienda La Cienega. In addition to the charm of the hacienda, the views are amazing and the staff is friendly. In addition to warm clothes, bring something to eat, to drink and sunscreen. Remember the sun is stronger around the equator and it is extremely important to avoid too much of it from 10 am to 2pm you need to be extra careful. There is a visitor´s center but if you want to save some bucks, bring your own food and enough to drink. 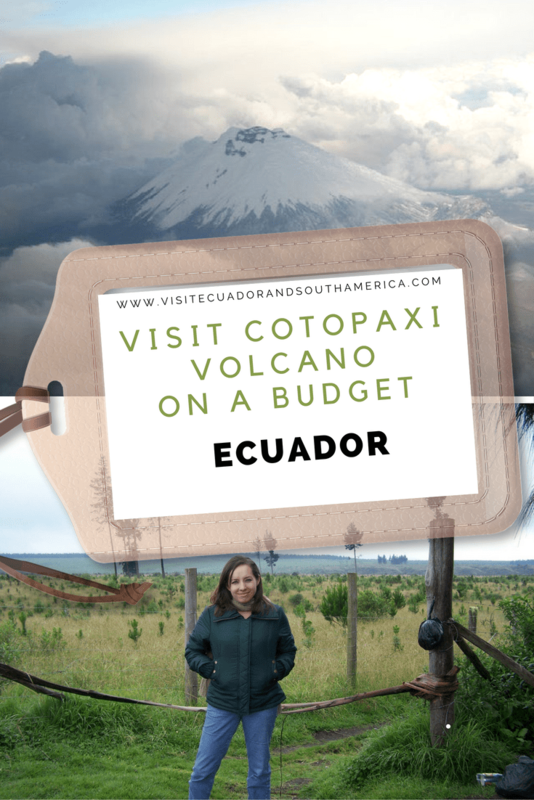 If you are in Ecuador, I will highly recommend that you add Cotopaxi to your bucket list! Have you been there already? How was your trip?